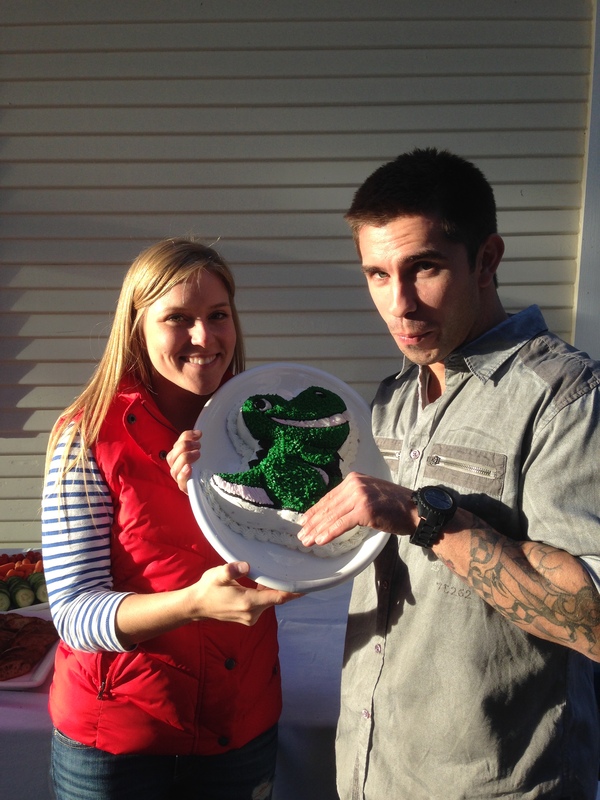 For Vince’s birthday this past Sunday, I decided to surprise him with a special cake…a T-Rex cake! T-Rex is college nickname that has stuck with him post-college…and it’s not going away anytime soon! For this cake, I ordered the mold online. 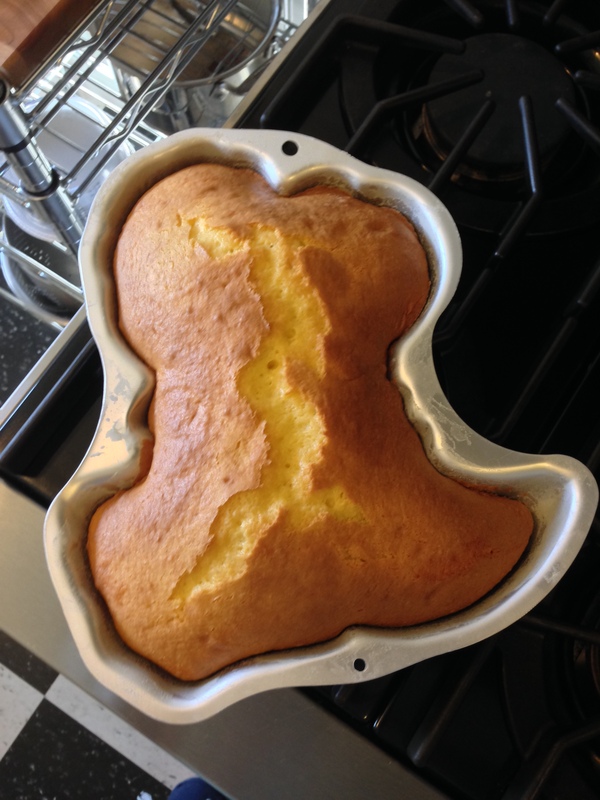 I bought the frosting and a yellow cake mix (yes, store bought cake mix…but that’s what the mold called for!). Since it was a box cake, there isn’t a fun baking story behind this one, except for the fact that frosting the darn cake took about 3-4 hours to complete. 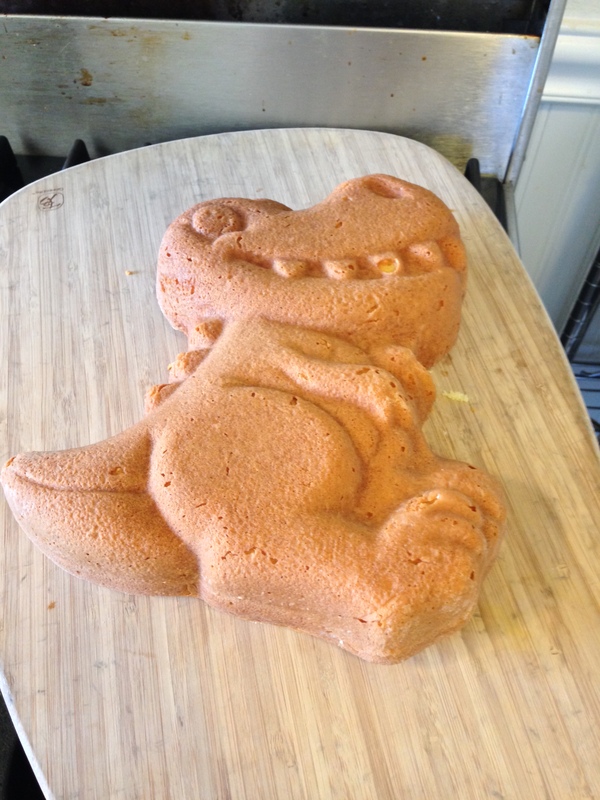 Et voila, a T-Rex cake! He was more than surprised, and it was a big hit at the party, so I can definitely call this cake a success. 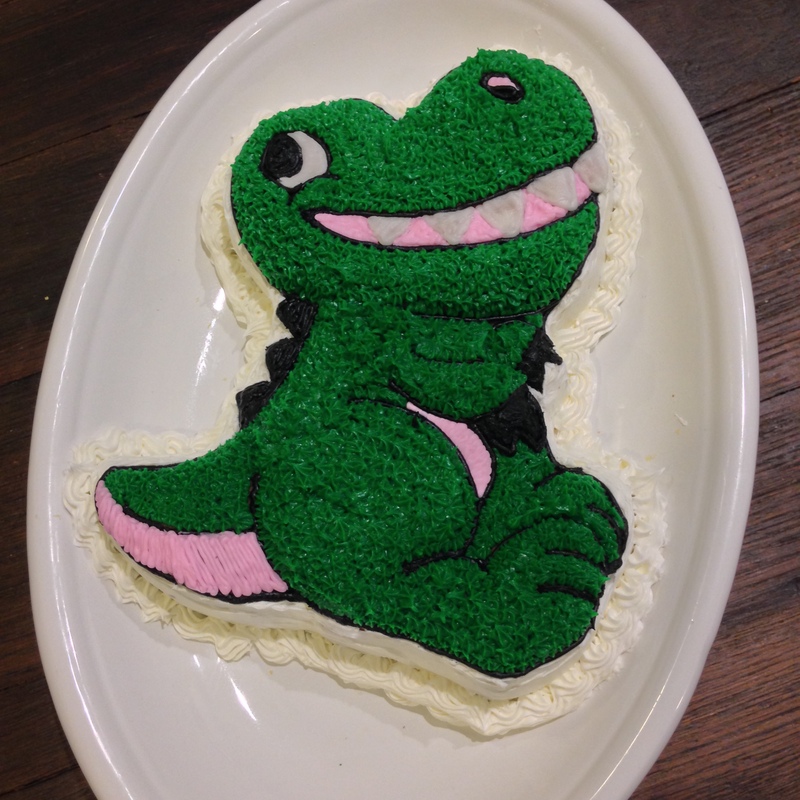 No…we did not ONLY eat cake…there were some finger foods also…not as fun as the T-Rex cake, though! I picked a French Brie Cheese, a Spanish cheese called Drunken Goat (a favorite of mine that Vince now loves also), and some cheddar and salami. 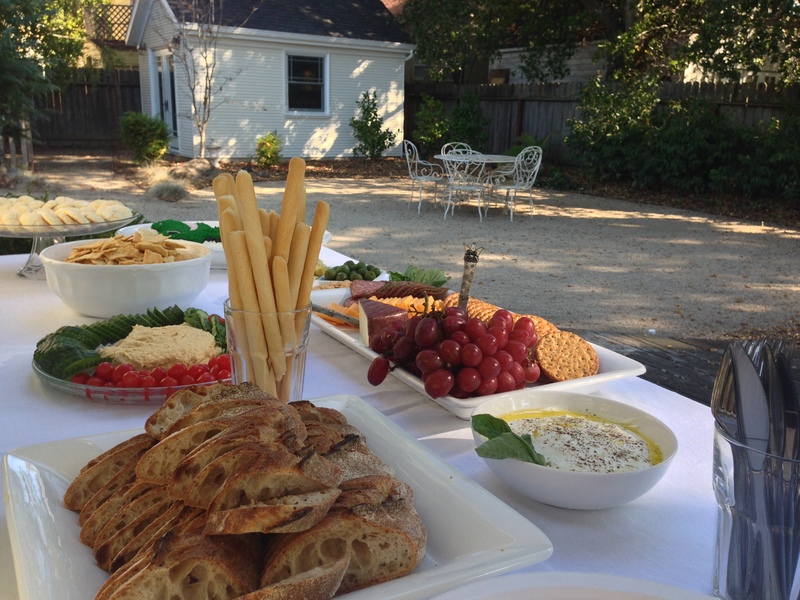 Homemade hummus, pita chips, breadsticks and some grapes also made an appearance…yum! 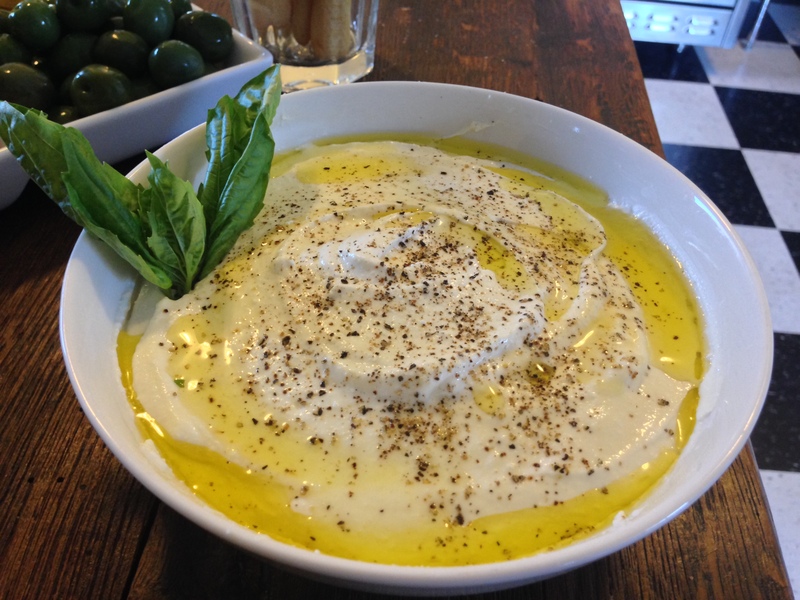 I also made a Whipped Ricotta with Lemon & Olive Oil from Joy the Baker, one of my favorite easy appetizers. It was perfect on toasted sliced Baguettes from The Model Bakery. Toppings included heirloom tomatoes, sliced cucumber, peppadews (my new obsession), marinated artichoke hearts, fresh green olives and marcona almonds. 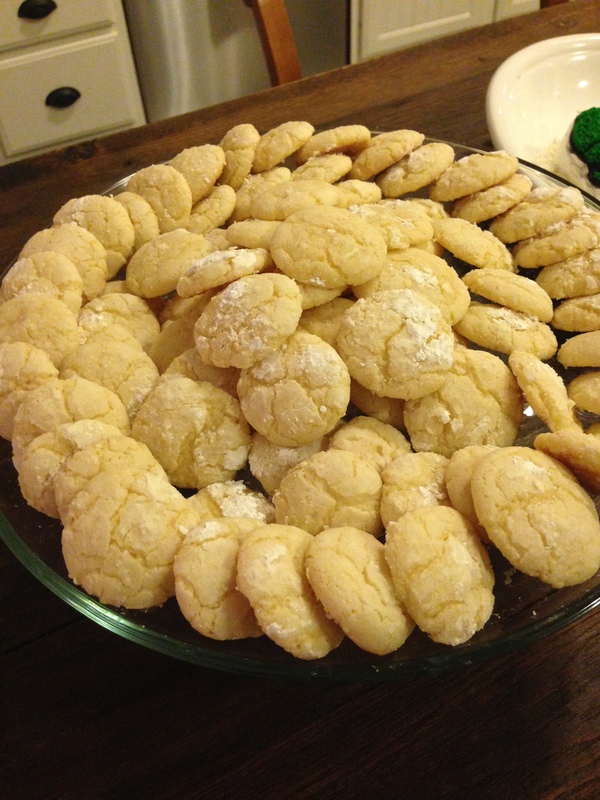 Oh, and I forgot to mention, I also made LOTS of Lemon Crinkle Cookies – my favorite! I made them for the first time a year ago for Vince’s birthday and have made them more times than I can count. They seem to be requested for every occasion now! It was a beautiful day in Napa, so we had the party in the backyard and made a fire in the fire pit once the sun started to disappear. Overall, it was a great day with great friends and a VERY GREAT guy! It was a beautiful Birth Day! Happy Birthday, T-Rex…I mean Vince. The entire spread was excellent!! The cake was a spitting image of me as anyone can see. Thank you to Lindsay, momma MacLean and everyone else who made my birthday so great. 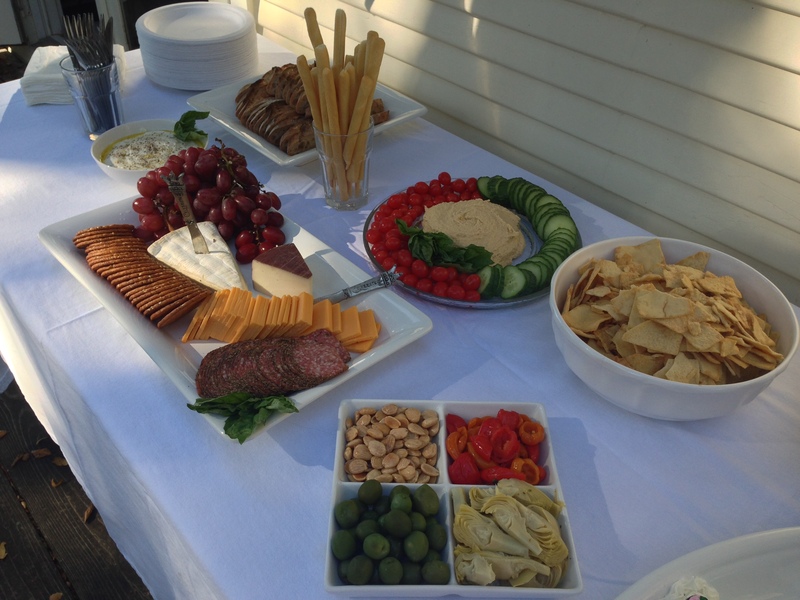 Great spread for a great guy! Vin is very lucky!